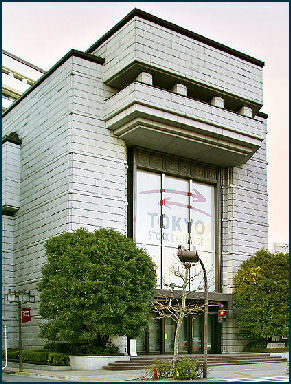 Tokyo Stock Exchange Japan changed when the bubble economy burst in the early 1990s. The bubble economy began to collapse in January 1990 as stock prices crashed and continued declining through the year. Property values then nosedived and Japan's high growth economy suddenly stalled and shrunk. Between December 1989 and August 1992 the Nikkei average dropped from 38,915 to 14,309, producing a loss of $2 trillion. With the declining value of land factored in assets shrank by around $10 trillion. One banker described the loss "as if Japan had entered a detox center after a financial overdose." The effects of the collapse lasted for years. The price of some property dropped 70 percent between 1990 and 2000. A recession lasted more than a decade. The collapse was brought about by an international recession, foreign competition in export markets, the inability of the government to protect weak banks and business from globalization, the realization that stock prices and real estate values had become inflated in the bubble period, and the that Bank of Japan setting interest rates too low, creating easy money. The bubble itself was blamed on a belief that the good times of the bubble economy years would last forever and poor decision making over what to do with all the cash that poured in. Mistakes made by the government included, not acting immediately to shut down troubled financial institutions and letting the troubles get worse. 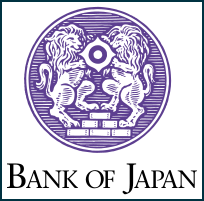 The Bank of Japan responded after the January 1990 stock market crash was also starling. In continued raising rates until September 1990 and did not begin cutting them until July 1991, 17 months after the financial crisis began. Good Websites and Sources on Post-War Japan : Wikipedia article on the Japanese Economic Miracle Wikipedia ; Jref Article on the Japanese Economic Miracle wa-pedia.com ; Long Blog Report on the Japanese Post-war economy dostoevskiansmiles.blogspot.com ; Yale Paper on the Economic Miracle econ.yale.edu ; Essay on Japan’s Rebirth at the 1964 Olympics aboutjapan.japansociety.org Wikipedia article on the Japanese Red Army Wikipedia ; Yukio Mishima's Suicide dennismichaeliannuzz.tripod.com/finalDay ; Wikipedia article on the Lockheed Scandal Wikipedia Post World-War-II Japan hartford-hwp.com Essay on Allied Occupation of Japan aboutjapan.japansociety.org ; Essay on Postwar Japan 1952-1989 aboutjapan.japansociety.org ; Essay on 20th Century Japan aboutjapan.japansociety.org ; Birth of the Constitution of Japan ndl.go.jp/constitution ; Constitution of Japan solon.org/Constitutions/Japan ; Takazawa Collection at the University of Hawaii on Social Japanese Social Movements takazawa.hawaii.edu ; Documents Related to Postwar Politics and International Relations ioc.u-tokyo.ac.jp ; Japan Echo, a Journal on Japanese Politics and Society japanecho.com; Books: Making of Modern Japan by Marius Jansen (2000);Inventing Japan: (1853-1964) by Ian Buruma (Weidenfeld & Nicholson, 2003). Embracing Defeat: Japan in the Wake of World War II by John Dowser of Massachusetts Institute of Technology, who won the Pulitzer Prize for nonfiction in 1999. The New York Times reported:“Japan is in the unenviable position of being one of the few nations in recent history to have seen a striking reversal of economic fortune. In 1991, economists were predicting that Japan would overtake the United States as the world’s largest economy by 2010. In fact, Japan’s economy remains the same size it was then: a gross domestic product of $5.7 trillion at current exchange rates. During the same period, the United States economy doubled in size to $14.7 trillion. In 2010, China overtook Japan to become the world’s No. 2 economy. "The bubbles popped in the late 1980s and early 1990s, and Japan fell into a slow but relentless decline that neither enormous budget deficits nor a flood of easy money has reversed. For nearly a generation now, the nation has been trapped in low growth and a corrosive downward spiral of prices, known as deflation, in the process shriveling from an economic Godzilla to little more than an afterthought in the global economy...But perhaps the most noticeable impact has been Japan’s crisis of confidence. Its once voracious manufacturers now seem prepared to surrender industry to hungry South Korean and Chinese rivals. Trade battles were a big part relationship between Japan and the United States in 1980s and 90s. The pattern of these battles was often like this: the U.S. complained that Japan was using unfair trade practices and Japan retaliated by accusing the U.S. of being a bully and meddling in the affairs of other countries; the U.S. then threatening economic sanctions with Japan responding with some threats of its own; and just before something serious happened a deal was struck. The first trade battles were in 1970s over textiles. After that Japan and the United States battled over everything from baseball caps to jet-fighters. Kodak complained of unfair trade practices by Fuji film which keep Kodak from claiming it rightful share of the Japanese film market. In the 1990s, Japanese Prime Minister Hashimoto said that U.S. Trade Representative Mickey Kantor was "even more aggressive than my wife when I come home drunk." Trade representatives from Japan and the United States had a major showdown in 1995 over Japan’s refusal to reduce tariffs on American automobile parts. Fed up with Japanese inaction, the United States government imposed 100 percent tariffs on 13 popular luxury Japanese cars in an effort to bring down Japanese trade barriers on automobiles and automobile parts. Japan had 37 percent of American auto parts market while the United States had only a 1.2 percent share in the Japanese market. In 1997, the U.S. refused to let Japanese ships dock in American ports in disputes over access of American ships to Japan ports and the procedures for American ships docking in Japan. The United States government threatened to block Japanese airlines freight hauling flights unless Federal Express was allowed to fly through Japan. Mizuho bank headquarters The collapse of the real estate values was devastating to Japanese banks. Banks have traditionally relied on property as collateral for loans. When real estate values plummet, the banks are reluctant to call in the loans because the value of the collateral is considerably less than it was before and the banks lose money. Japanese banks were saddled with billions of dollars in debts and may have accumulated as much as $1 trillion in bad loans, or $5,000 for every Japanese. No one was sure how bad the situation really was. The Japanese government prevented the IMF from investigating the Japanese banking system and hid the full scale of the losses sustained by the banks to prevent the crisis from being worse than it was. The bad loans were mostly held mostly by companies that accumulated large debts and couldn't pay the loans back. Instead of calling in the loans, the banks lent the companies more money to prop them up. This increased the debts further. To make money the banks entered risky ventures, which in many cases didn't pan out, causing the banks to loss even more money. For large companies the banks lived up to the saying: “If you owe a bank $10,000 you have problem. If you owe it $10 million you have a partner.” Companies that owed the banks lot of money sat on their bank’s boards and vetoed decisions. The banks concealed bad loans in subsidiaries that were considered off-balance-sheet entities or listed derivative investments as profits when they were actually losses and put the loss five years in the future in the hope things would improve by then. Some financial institutions went bankrupt. In 1993 there were 14,041 corporate bankruptcies. In the mid 1990s, several jusen (housing loan companies) straddled with debts of $84 billion (70 percent of their total outstanding loans) filed for protection. Many more companies should have gone bankrupt. The post bubble financial crisis came to a head in late November 1997 with the collapse of Sanyo Securities and Yamaichi Securities---events comparable to the collapse of Bear Stearns and Lehman Brothers. The government responded by a de facto government guarantee of bank liabilities the following month. Homeless in a train station In 1992, the Japanese economy plunged into a recession that officially began when the government declared the economy was entering a slowdown and the Nikkei Stock Average fell below 15,000. The long drawn out recession lasted through the 1990s and early 2000s. In Japan, it was called the Heisei Recession because it began to take effect shortly after the Heisei emperor, Akihito, ascended to the throne in 1989. This recession was brought about the collapse and lingering effects of the bubble economy. The recession was particularly devastating because the Japanese economy fell from such a high peak and the slowdown lasted so long. The stock market fell below 8,000 from a high of over 30,000. Real estate prices slumped for 14 years in a row. Thirty year bonds yielded less than 1 percent. Bank deposits earned 0.07 percent. Japanese investors took their money overseas. Bad loans resulted in a credit crunch that depressed economic activity. The unemployment rate rose from 2.1 percent in 1992 to 3.1 percent in 1994 to 5.6 percent in 2001. The value of the yen declined from 80 per dollar in April 1995 to 125 in 1997. Japan was also hit by the Asian Financial Crisis in 1997 and 1998. At the end of 1997, the stock market declined by 23 percent in just a few weeks. In June 1998, the yen reached a record 140 to the dollar, the economy posted negative growth figures and there were rumors that the entire Japanese economy might crash. During much of the recession Japan didn't seem like it was in a recession. Department stores and shopping districts were full of customers. People dressed in fashionable clothes. First class air line seats and hotels were full. Luxury good makers and fancy restaurants were doing good business. There were few homeless people or down-and-out workers walking around. There seem to be a sense of denial. The 1990s was not a period of stagnation but a period of restructuring. Companies switched to merit-based systems, moved production abroad, got rid of regulations and began looking out for shareholders rights. The pension system and corporate law were reforms. Action was taken against bad loans. life goes on Many blamed the post bubble recession on the monetary policy of he Bank of Japan, which raised interest rates in the early 1990s before letting them slide to nearly zero after 1995, and then engaged in an overly cautious policy blamed for producing years of stagnation. In his book The Age of Turbulence: Adventures in the New World (2007), former U.S. Federal Reserve Chairman Norman Greenspan blamed the Japanese for the “lost decade” that occurred after the economic bubble burst in the 1990s. He said the worst failure of the Japanese government was not taking bold action to resolve the bad loan crisis, saying the moves that were taken were taken for “cultural” reasons rather “economic” ones. While Japan stagnated in the late 1990s and early 2000s, South Korea, which enacted bold reforms in the 1990s, grew. The dulled sense of emergency in Japan was called the Boiling Frog Phenomenon, a reference to the fact a frog does not jump out of a pot of hot water when water temperature is raised so gradually the frog's loses it s ability to react. The Ministry of Finance had hoped that the huge debts left behind in the wake of the bubble economy collapse would be diminished by renewed growth and inflation but the growth failed to materialize and the loan problem only got worse. The government subsidized money-losing industries and business and bailed out banks that otherwise would have gone bankrupt. Deeply-indebted retailers, insurance companies, banks and construction companies were allowed to stay afloat at a huge cost. 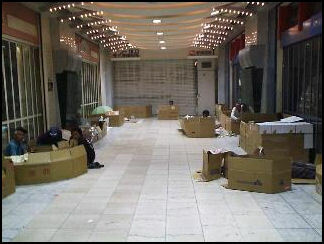 The Sogo department store was given $6 billion in 2000. The Daiei retailing chain was effectively bailed out when the government encouraged banks to lend it money. The troubled Kizu Credit Union the Bank of Japan was bailed with a special loan of $3.59 billion that was delivered in 22-pound bales of yen notes worth $1 million each. After the delivery was made one of the $1 million bundles could not be accounted for. It was believed the money was probably stolen by one of the credit union's employees. In May 2003, the government bailed out the troubled Resona bank by injected about $9 billion into it, effectively nationalizing it. 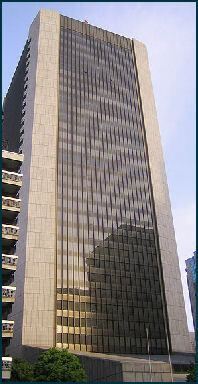 Resona was Japan’s fifth largest bank in terms of assets. It was hit hard by plunging stock prices, disposing of bad loans and new bookkeeping practices. Daiwa Bank and Asahi Bank received about $9 billion in government money in 1998 and 1999. Mizuho Holdings, the world’s largest bank in terms of assets at the time, lost a record $16.7 billion in 2002. The losses were nine times higher than anticipated and were the result of writing off bad loans and meeting government demands for more disciplined and straight-forward bookkeeping. While many propped up banks continued to post record losses, banks that were allowed to collapse, such as the Hokkaido Takushoku Bank, which collapsed in 1997, and the Long-term Credit Bank, which collapsed in the late 1990s, were rehabilitated and became profitable. The government bailouts averted a deep recession at the cost of a long stagnation. They also delayed necessary restructuring of the Japanese banking system and provided huge cash flows to pork-barrel politicians delaying necessary political reforms---which are still needed today. Interest rates offered by the Bank of Japan in the late 1990s went from 0.5 percent to zero, when it appeared the financial system was on the verge of collapse. The idea was that low interest rates would allow companies to borrow money and increase economic activity. The rates have hovered near zero ever since then, for more than a decade now. For a while there was even talk of dropping interest rates below 0 percent on savings accounts, meaning that savers would be paying the bank to keep their money. The money would have come from user fees, with some of it going into an insurance system to cover savings in the event the banks go under. In the early 2000s, Japan suffered from weak domestic demand and competition in markets that it had traditionally been strong in. After the terrorist attack on the World Trade Center on September 11th the Tokyo stock market dropped to record lows and the yen fell against the dollar and Japan’s bonds were rated below those of Botswana. None of the government stimulus measures worked very well and Japan built up the largest national debt of any industrialized nation. Growth hoovered around one percent. In 2003, the public debt reached $6.4 trillion, 130 percent of GNP, and half Japan's savings and triple the debt rate in 1992. By contrast the public debt in the United States was $3.4 trillion, or 35 percent of GNP. Most of the debt is held by the government. Even though there is enough money in the banks to cover the debt, most of it is in the form of personal savings, which the government can't touch. The Nikkei hit a low of 7,607.88 in April 2003. In the early 2000s, there were 66 Japanese companies with more than $1 billion in debt and share prices below $1.60. These became known as “zombie companies,” or enterprises that had little hope of ever being turned around. Most were construction, real estate, retail or finance firms. They should have been allowed to die but many were propped by the government or friendly banks. Investors felt the problems with zombie companies and shady bookkeeping were so widespread they became reluctant to invest in any Japanese company. Japan also suffered from deflation. National wealth declined as property values continued to fall. Companies didn’t invest, so they didn't expand. People worried about the future and saved their money rather spent it, figuring that things will be cheaper in the future. Prices declined more, people saved more because they figured prices will drop further. Companies lost money and laid off workers. There were worries about a deflationary spiral and a depression. Some wanted the Bank of Japan to create inflation, believing that would solve Japan’s problems. Others saw deflation as a symptom of Japan’s deeper problems. Mild deflation occurred for several years but it never rose above 0.9 percent for one year and cumulatively was no more than six percent. Consumer prices in the late 2000s were the same as what they were in 1992. Returns on savings have been low but positive in real terms, which is more than the United States can say. 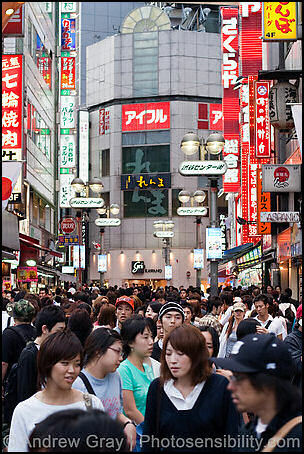 Japan’s per capita growth in the 2000s was 13.7 percent, compared to 12.5 percent in the United States. A significant part of he deflationary pressure can be attributed to the appreciation of the value of the yen. The classic explanation of the evils of deflation is that it makes individuals and businesses less willing to use money, because the rational way to act when prices are falling is to hold onto cash, which gains in value. But in Japan, nearly a generation of deflation has had a much deeper effect, subconsciously coloring how the Japanese view the world. It has bred a deep pessimism about the future and a fear of taking risks that make people instinctively reluctant to spend or invest, driving down demand---and prices---even further. Deflation and stagnation had meant that hair cuts and movies are cheaper than they used to be. Many Japanese pay only 2.5 percent interest on their mortgages. It also means workers have gone more than a decade without a significant pay raise and their homes are worth about the same they were a decade ago. The BOJ and Japanese government released $300 billion into the market in 2003 and 2004 in an effort to stem deflation. p> Deflation reached worrisome levels in 2009 and continued in 2010. Real estate prices dropped almost everywhere. Consumer prices were down 1.6 percent and wholesale prices dropped by 5.2 percent in fiscal 2009, matching a previous record fall, pushed by declining oil and steel prices. In February 2010, wages declined for a record 21st straight months. Residential land prices fell for the 19th straight year in 2010.